The reason I picked up this book wasn’t because of Oprah’s Book Club Recommendation. The last book Oprah recommended that I remember was Stephen Frey’s Million Little Pieces, and, well, we all remember how that one turned out. I do think that whole hoopla was interesting for other reasons, but that’s probably best left for another post. Anyway, I borrowed this from the library. I don’t know what made me pull it from the stacks of other books but I read the blurb and was instantly sold. I checked it out and what followed was two weeks of reading interspersed with bouts of the most intense (I kid, but not really) crying. Simply put though, this book is about a 40-year-old man, Dominick Birdsey, coming to terms with his life. The catalyst for his trip down memory lane is his schizophrenic twin brother Thomas, who, believing that he is instructed by God to make a stand against the Gulf War in 1991, cut off his hand in a public library. When you’re the sane brother of a schizophrenic identical twin, the tricky thing about saving yourself is the blood it leaves on your hands — the little inconvenience of the look-alike corpse at your feet. And if you’re into both survival of the fittest and being your brother’s keeper — if you’ve promised your dying mother — then say so long to sleep and hello to the middle of the night. Grab a book or a beer. Get used to Letterman’s gap-toothed smile of the absurd, or the view of the bedroom ceiling, or the indifference of random selection. Take it from a godless insomniac. Take it from the uncrazy twin — the guy who beat the biochemical rap. What I like here is Dominick’s voice and the terms he uses to describe his situation, for example, the second clause of that first line: “[t]he tricky thing about saving yourself is the blood it leaves on your hands.” The blood he invokes of course refers to the blood on his brother’s hands, actual blood spilled from Thomas’ stance. But Dominick sees himself as also having blood on his hands. The blood he spills because he is the sane one. What does that mean? Why does he think that being the sane brother means that he, too, has blood on his hands? He obviously feels responsible, as only people who refer to having blood on their hands would. But why? He answers himself by mentioning that he is both “into” the survival of the fittest and being his brother’s keeper, but the trade-off is he became a godless insomniac. He is uncrazy, he beat the biochemical rap, but he still has blood on his hands, same as his brother. But why? Simple answer is survivor’s guilt. He escaped, but at the same time he didn’t. And what I found interesting is the theory he posed that survival of the fittest and being his brother’s keeper do not go together. Again, this screams big themes. If we bring it out of context, there are literally thousands of questions connected to this. If you want to win in the game of life, does it really mean that you cannot be kind to others (this case being his own brother)? The phrase godless insomniac also jumped out at me. He is literally a godless insomniac. He does not believe in god and he often cannot sleep. But there’s something poetic with the phrase godless insomniac, don’t you think? To be godless is to believe that you are alone. To be an insomniac means…oh I don’t know, that you cannot escape from your problems, maybe? You can’t even shut off the day’s stresses. You’re always up, you’re tired, but you can’t rest, you can’t escape from what’s in front of you. What a lonely image. A man in his 40s who is alone and can’t rest, can’t turn off the burdens he carries. A figure like Atlas, one man carrying the whole world. And the most interesting (to me) is this phrase: “…the little inconvenience of the look-alike corpse at your feet.” I’ll let you make your own judgments on that one. But of course, as I was reading, these things didn’t occur to me. What I felt when I read that paragraph was the beautiful phrasing even though the words describe a melancholy and lonely situation. I felt enveloped in this man’s sad, sad situation. To complement what I have here, I have a longer excerpt (if it’s long enough, does an excerpt become an extract?) that should give you a fuller picture of what the book has to offer. I won’t dissect it, don’t worry. I wouldn’t want you staying up all night reading a treatise. I’m putting it behind the jump because it’s long but if anything I said previously interested you, please do read it. I’ll gamble that you’ll like it. And again, I must warn you, this extract contains massive spoilers! One Saturday morning when my brother and I were ten, our family television set spontaneously combusted. Thomas and I had spent most of that morning lolling around in our pajamas, watching cartoons and ignoring our mother’s orders to go upstairs, take our baths, and put on our dungarees. We were supposed to help her outside with the window washing. Whenever Ray gave an order, my brother and I snapped to attention, but our stepfather was duck hunting that weekend with his friend Eddie Banas. Obeying Ma was optional. It was true. However angry we could make our mother, she would never have fed us to the five-foot-six-inch sleeping giant who snoozed upstairs weekdays in the spare room, rose to his alarm clock at three-thirty each afternoon, and built submarines at night. Electric Boat, third shift. At our house, you tiptoed and whispered during the day and became free each evening at nine-thirty when Eddie Banas, Ray’s fellow third-shifter, pulled into the driveway and honked. I would wait for the sound of that horn. Hunger for it. With it came a loosening of limbs, a relaxation in the chest and hands, the ability to breathe deeply again. Some nights, my brother and I celebrated the slamming of Eddie’s truck door by jumping in the dark on our mattresses. Freedom from Ray turned our beds into trampolines. “Hey, look,” Thomas said, staring with puzzlement at the television. Then I saw it, too: a thin curl of smoke rising from the back of the set. The Howdy Doody Show was on, I remember. Clarabel the Clown was chasing someone with his seltzer bottle. The picture and sound went dead. Flames whooshed up the parlor wall. I thought the Russians had done it–that Khrushchev had dropped the bomb at last. If the unthinkable ever happened, Ray had lectured us at the dinner table, the submarine base and Electric Boat were guaranteed targets. We’d feel the jolt nine miles up the road in Three Rivers. Fires would ignite everywhere. Then the worst of it: the meltdown. People’s hands and legs and faces would melt like cheese. “Duck and cover!” I yelled to my brother. Thomas and I fell to the floor in the protective position the civil defense lady had made us practice at school. There was an explosion over by the television, a confusion of thick black smoke. The room rained glass. The noise and smoke brought Ma, screaming, inside. Her shoes crunched glass as she ran toward us. She picked up Thomas in her arms and told me to climb onto her back. Outside, Ma ordered Thomas and me to run across the street and tell the Anthonys to call the fire department. While Mr. Anthony made the call, Mrs. Anthony brushed glass bits off the tops of our crewcuts with her whisk broom. We spat soot-flecked phlegm. By the time we returned to the front sidewalk, Ma was missing. Thomas began to cry. Then Mrs. Anthony and I were crying, too. “Hurry up!” my brother shrieked to the distant sound of the fire siren. Through the parlor windows, I could see the flames shrivel our lace curtains. A minute or so later, Ma emerged from the burning house, sobbing, clutching something against her chest. One of her pockets was ablaze from the paper towels; her coat was smoking. Mr. Anthony yanked off Ma’s coat and stomped on it. Fire trucks rounded the corner, sirens blaring. Neighbors hurried out of their houses to cluster and stare. Ma stank. The fire had sizzled her eyebrows and given her a sooty face. When she reached out to pull Thomas and me to her body, several loose photographs spilled to the ground. That’s when I realized why she’d gone back into the house: to rescue her photo album from its keeping place in the bottom drawer of the china closet. My mother’s breast was removed. A week later, she was told that the cancer had metastasized–spread to her bone and lymph nodes. With luck and aggressive treatment, the oncologist told her, she could probably live another six to nine months. My stepfather, my brother, and I struggled independently with our feelings about Ma’s illness and pain–her death sentence. Each of us fumbled, in our own way, to make things up to her. Thomas set to work in the arts and crafts room down at the state hospital’s Settle Building. 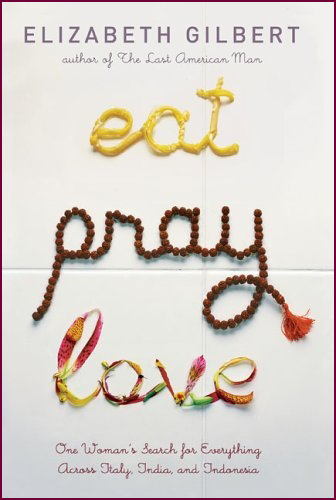 While Ma lay in the hospital being scanned and probed and plied with cancer-killing poisons, he spent hours assembling and gluing and shellacking something called a “hodgepodge collage”–a busy arrangement of nuts, washers, buttons, macaroni, and dried peas that declared: god = love! Between hospital stays, Ma hung it on the kitchen wall where its hundreds of glued doodads seemed to pulsate like something alive–an organism under a microscope, molecules bouncing around in a science movie. It unnerved me to look at that thing. My stepfather decided he would fix, once and for all, Ma’s broken scrapbook. He took the album from the china closet and brought it out to the garage. There he jerry-rigged a solution, reinforcing the broken binding with strips of custom-cut aluminum sheeting and small metal bolts. “She’s all set now,” Ray told me when he showed me the rebound book. He held it at arm’s length and opened it face down to the floor, flapping the covers back and forth as if they were the wings of a captured duck. My own project for my dying mother was the most costly and ambitious. I would remodel her pink 1950s-era kitchen, Sheetrocking the cracked plaster walls, replacing the creaky cabinets with modern units, and installing a center island with built-in oven and cooktop. I conceived the idea, I think, to show Ma that I loved her best of all. Or that I was the most grateful of the three of us for all she’d endured on our behalf. Or that I was the sorriest that fate had given her first a volatile husband and then a schizophrenic son and then tapped her on the shoulder and handed her the “big C.” What I proved, instead, was that I was the deepest in denial. If I was going to go to the trouble and expense of giving her a new kitchen, then she’d better live long enough to appreciate it. A(n even) longer extract can be found on Book Browse. 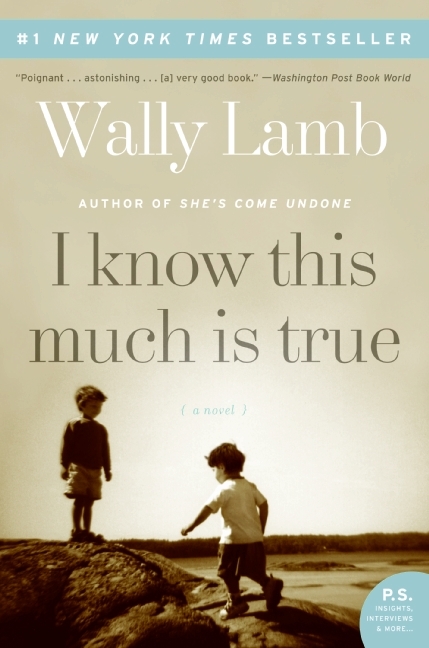 This entry was posted on Sunday, February 20th, 2011 at 8:58 pm	and tagged with 4.5/5, brothers, contemporary, emotional, know, lamb, much, oprah's book club, psychological, true, twins, wally, wally lamb and posted in Contemporary. You can follow any responses to this entry through the RSS 2.0 feed. Very good review, and you are right, the book sounds very compeling. I have officially placed it on my tbr list. Thanks for the recommend. I’m glad you find it appealing. Let me know when you’ve read to compare notes. I’d love to know what you think of it.